Click here to learn more about our exciting On Board Credit Offers! 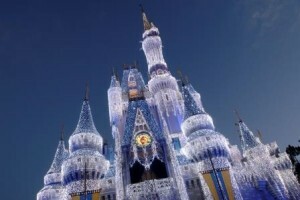 Click here for exciting offers on your next Walt Disney World Vacation. Click here for amazing savings on your next Adventures By Disney Vacation. 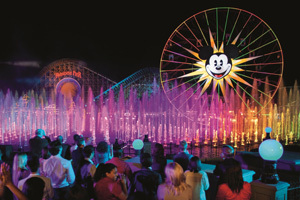 Click here to learn more about exciting offers on your next Disneyland Vacation. Moments of Magic Travel is your complimentary Disney® Destination Vacation travel specialist! With over 15 years of experience, we take pride in helping our clients turn their dream of a Disney Destination Vacation into a reality! As an Authorized Disney Vacation Planner our mission is to provide you with customized Disney vacation planning that is tailored to your family's needs and budget. There is never a charge for our concierge services and we strive to create a vacation that you will never forget! When you contact us, we will respond to your inquiry on the same business day, so give us a call today to learn more about the magic that is waiting for YOU! I want to thank you for the great job you did with planning my family’s first Disney trip! You were extremely helpful and your recommendations were spot-on! You were always available and responded quickly to any questions. Most of all, thank you for the consistent professionalism and friendliness we were shown– you are a class act and it is a pleasure to recommend you and your services to anyone I know. Thanks to you and Moments of Magic Travel, our trip is a treasured memory! Things have been hectic since we got back, but I wanted to send you a quick message thanking you for all your help. We had a great time, the girls were truly surprised on Christmas morning. They are still checking wait times for rides on their apps. Epcot worked out great for New Years, we did not make it to the New Years fireworks but we did see some of the fireworks at 6:30 pm. It was nice to be able to walk out of Epcot when it was getting too crowded and simply walk to the Beach Club. Thanks for your help - we would have been lost without you. I can't thank you enough for all your expertise and hard work planning our Disney vacation! Because of you we truly had a magical time. We had so many moving parts for a short trip- a two year old plus all four of his grandparents. All of the planning you helped us with made sure that we made the best use of our time and we all got to enjoy the trip. As I've told many people, planning this trip was more complex than planning my wedding! I can see now how having you in my corner made the difference between a trip being a difficult and it being the delight that it was. You went above and beyond at every juncture- from our early planning to booking Fast Passes, searching for and scheduling meal reservations, arranging travel and even your thoughtful Disney care package that was full of both practical necessities (like rain ponchos!) and fun gifts like the Mickey stuffed animal my son now sleeps with! You were there for all my last minute questions via text while we were at Disney- I always knew I could count on you. Thank you for everything you did to make our vacation so special. I would and will recommend you to anyone planning a Disney trip and I will definitely not be planning any Disney trips in the future without you! Renee was great!! She knows her stuff. She asked me questions I didn't know I had and booked and planned everything so fast! It was incredible! I will be telling all my friends about her! She made my first time to Disney magical! If I ever go to Disney again I will be calling her! 2014 was a magical year for our family! We took our 5 year old and 2 year old to Disney World for the first time! Our trip was perfectly planned out thanks to Jennifer Kellum of Moments of Magic Travel! What a gift she was to our family! From asking all the right questions, to creating a thorough itinerary, to all her insights and tips, we couldn't have asked for a smoother, more relaxed week! Jennifer was so easy to work with and went above and beyond to ensure the trip fit our specific family needs! Thank you Jennifer for helping us make so many magical memories! We will definitely be planning another trip with Jennifer soon! Living in Florida and having Annual Passes to Disney, I like taking little trips. I love being able to pick up the phone or text you and everything is done for me. You always find me the best deals and line up my FastPasses. You have tons of knowledge and make my life so much easier. Thank you for helping surprise my son by making last minute arrangements for us to have adjoining rooms with his favorite Uncle. You made his birthday celebration wonderful. I look forward to having you plan my next vacation. Our family wanted to send you a quick email in regards to our trip to Disney that you helped us plan. We had the trip of a lifetime. We can not thank you enough for all of the time and effort you put in to make sure our trip was as magical as it could be. From the food reservations, to the fast passes, to all of the recommendations of rides to go on and things to see, you really went so far above and beyond anything we were expecting. I am still amazed that I was getting emails at 1 and 2am 90 days before our trip, showing that you were up at the time making our reservations. Not only am I amazed, I am so glad I did not have to do it myself, lol. Tania and I worried quite a bit about this trip before we contacted you because we wanted to make our children's first Disney trip the best it could be. We were in no way disappointed. On top of everything you did leading up to the trip, when we received your personalized gift that was delivered to the hotel for Mikey's 1st birthday, that put the entire experience over the top. I have recommended your services to everyone and anyone I can, and we can not wait until we are able to plan another amazing family vacation with you. I hope this letter makes its way to your bosses so they know what an amazing agent they have in you. Thank you again for everything you did to make our trip magical. members and encourage them to book with MOMT. We just got back last night from the best Disney vacation EVER!!!! We owe it ALL to you. My family and I have been to Disney twice before. This trip blew everything away. We cannot thank you enough for your fabulous personalized itinerary EVERYDAY. Everything you recommended for the kids was right on. The Frozen show for Bella was just superb! Watching her enjoy herself brought tears to my eyes. I am SO glad you recommended the Dining Plan for us because the restaurant you had us reserved for were perfect. Everyone was able to find something to eat and the food was excellent at all of them. It was so worth it! I HAD to come home immediately and write this. I never do this stuff, but my family and I really can't thank you enough. You truly did make this a "Magical" vacation that we will never forget. I will pass your information off to everyone who is thinking about traveling to Disney because I can't imagine traveling there any other way! Perfect! Doesn't even seem like it's enough to describe our vacation. Cindy Moeller was beyond her duty in fulfilling an itinerary for my family. She was there every step of the way. Her ideas, advice, knowledge of the parks, and professionalism was above par. I can honestly say I would not have made it on my own without all her help. She not only made it magical for my children but she also made it less stressful for myself and I was able to enjoy it just as much. She is recommended to any and all families big or small wanting a memorable magical trip to Disney!!!!! Yes, we did! Nicole! Thank you for helping us have the best Disney vacation! We had so much fun as a family and can honestly say we felt like we did it all. We zipped from park to park, ate tasty meals, and were able to ride the must ride rides. We wouldn't have been able to do so much without your expertise. And let's talk about the surprise package waiting for us! We felt so important and the little gifts were perfect. And the bag I received before the trip. I used it everyday until it ripped on the day before we left. Thank you! We're already plotting our next vacation. Let's chat! We either want Aulani for our 15 year wedding anniversary or a Disney Cruise. Ps my husband and I both turn 40 in 2018. Here are some quick shots. We have 200 from our photo pass that we love! Your service in planning our Disney vacation for our crazy family was fantastic! You rolled with us through many indecisive moments and adjustments. You made what originally seemed so complicated very simple. We really appreciate all your help and your unfailing upbeat attitude throughout... you even continued to help us through getting stuck in Orlando because of snow and adding extra days to the Parks. When we plan another trip we will certainly plan with you and would recommend you highly to family and friends! Thanks for everything! Being so overwhelmed by all of the information about planning a trip to Disney World, my neighbor suggested I talk to Jennifer Kellum of Moments of Magic Travel (MOMT), to get some help with planning my family's trip to Disney World. I can not thank Jennifer enough as we had the most seamless and enjoyable trip we could have ever dreamed of! It is amazing to me that Jennifer and MOMT did so much work for us for free! They are truly an extension of the magical experience we had in Disney World- from finding us the best deal based on our wishes, detailed planning and an itinerary that was so helpful! We experienced far more than any of my relatives and friends have experienced with their own planning or travel agent. Thank you so much- you will never know how much this trip meant to us and how lucky we feel to have found you! Thank you Jennifer Kellum for all your Disney expertise! We are having a blast this week in Disney! All your recommendations and suggestions have been spot on and has definitely helped to make our week even more magical! I just wanted to give my girl Cindy a huge pat on the back! She is the best. I have been visiting Disney for years and always called myself to do the reservations but Cindy has taken it to a new level. She checks for me to let me know when my rate can be lowered due to specials for Florida residents or passholder rates. I just love her. She knows more about Disney than I do and I consider myself an expert. She visits there all the time and has stayed at most of the resorts so she can give great advice about them. I will never plan a trip without her again! She will be helping me with my next big adventure, a Disney cruise! She even helps me with party tickets, dinner reservations and even offered to pick something up for me the next time she visited that I forgot! She is the best! I tell all my friends about her! Your company needs to be sure to never let her go! I even had a friend from Ohio call me about Disney and I immediately told them about her. First of all, our trip was AMAZING! The kids had so much fun, as you could see from our pictures. As did the parents. :) Check in was easy, and we had a great first day at Downtown Disney on Sunday. The room was awesome. The kids were so excited to get the Nemo room. The small details like the mirror and the light fixtures were so true to the movie. It was definitely the perfect hotel as far as theme goes. The two separate beds for the kids and the separate room for us was exactly what we needed. We recommended it to several families planning to vacation there in the next year or two. We walked around the resort later in the trip, and we just loved how well it did the themes of the various movies. The kids also loved the pre-vacation video. It really got them excited. I understand you are the agency owner for Moments of Magic Travel and I wanted to let you know about a recent experience I had with one of your agents. Jennifer Kellum is what I now refer to as 'the Disney Whisperer' as she was an incredibly talented resource for me and my old friend as we planned a recent whirlwind trip to get to 4 parks in 4 days with our respective daughters ages 7 and 8. Jennifer was such an impressive talent I have been in awe of what she pulls off not only in the outcome of the itinerary of the trip but in her communication skills and her dedication to the position. She has so many attributes that make her terrific at what she does. Her responsiveness and availability were above and beyond what anyone could expect. Her thoroughness is off the charts and the detail orientation she has is a quality I imagine your agents need as baseline, but ideally she could set that bar for world-class vacation planning. I already recommended her and your agency to friends considering a trip in the coming months/years. Wanted to share with you directly my feedback and hope it helps in some way for recognition of a truly deserving talent in your midst. amazing. Thanks for everything you did to make our trip memorable!!!!!! I normally just do one line recommendation, but for Laura Moll, I have so much to say. We started planning our Disney World trip back in March and initially we were thinking we'd book everything ourselves (my husband has been to Disney 3 times before, and I've been to Disney about 5 times). I had seen a number of posts about Disney agents and I wanted to see what the differences would be using an agent versus booking everything ourselves. I reached out to Laura on the recommendation from a few other FMs. I cannot say enough great things about my experience working with Laura to book our trip. What I liked initially about Laura was how quickly she would respond to my emails (and I had sent her PLENTY of emails). I believe her responses to all my questions would be within minutes to a few hours. Throughout the coming months, Laura was able to provide us with the best package within our price range. She catered our package around the things we were most interested in and she recommended the parks/rides/events that she felt our children (all under the age of 5) would enjoy the most. We had such a great time that we decided that we will do this trip again in the coming years. Laura had recommended the Bippity Boppity Boutique experience for our oldest daughter and the Mickey's Very Merry Christmas party, which both were great experiences and well worth the additional money spent! 180 days and 90 day prior to our trip, Laura scheduled all of our character meals and FastPasses. I gave her my wishlist and she made it happen! Two days before we left for our trip, we received a package in the mail with the details of our resort stay as well as a day by day itinerary of which rides/events that Laura recommended, which worked around all the FastPasses and meals we had scheduled. We ended up following her itinerary for each park and felt that we were able to enjoy all parts of the parks we wanted. We had one minor issue related to our park passes(the park attendant's fault), and Laura was able to help resolve that over text & phone for us! We really appreciated how available she was to us while we were on our trip! Getting to the parks was a seamless process, we got on line and about every 20-30 minutes a bus would show up for each park. We loaded up our stroller and within minutes we were at the entrance to the park. So nice not to worry about parking!! I absolutely recommend using a Disney agent , specifically Laura, when booking a trip to Disney World. There were so many things I was not aware of in the past when I've booked these trips myself. When my husband compared numbers, he found it was about a $300-$500 difference between staying at a Disney resort and staying off site. For us, that was worth it. If anyone has any specific questions, feel free to PM me. I wanted to thank you again for your help with our trip! My husband hates planning, so he literally knew nothing about the trip. He just shows up and follows directions on what to do;) He kept saying how incredible it was we weren't waiting in lines, he loved all the rides/shows you chose for us to do. The food selections as well. Since you had kept me informed along the way, I had an idea of what was coming, but he thought we'd paid something extra to be VIPs in the park or something since everything was such a breeze ;) I have been recommending you to everyone, so hopefully you get some referrals too! I want to thank Felicia Broome for planning my Disney vacation. When I decided to take my kids to Disney for Spring Break, I told her my budget & wants and she put it all together for me. If it wasn't for her "itinerary", we would have been lost and not know what to do next. Disney can be quite overwhelming but she laid my days out for me, scheduled my Fast Passes, and made all our meal reservations. All we had to do was show up and enjoy ourselves. We just got back from Disney last week and had a wonderful first trip and just wanted to say THANK YOU to Felicia Broome for all her help. I truly thought I was prepared but when I came upon Felicia as a vendor at a local consignment sale I decided it wouldn't hurt to ask a few questions and get some feed back. Boy am I ever glad I did. There is no way I could of ever planned the trip that we experienced. We truly had a Magical vacation. It was beyond my expectations. Any time I needed something she was just a phone call or text away. Even during our trip she was still helping us and staying in contact. The experience was so great I was already planning my next trip before we even got there. Lol! I can't wait to contact Felicia for our next Disney vacation. Thank you Moments of Magic Travel and Felicia Broome for all the wonderful memories. We would not have them without you. And by the way we love the fact that all her services were FREE. My family and I had such a magical time at Disney this past week!!!! This was our second trip to Disney as a family in the past two years! Without the help and guidance from Sabrina Lepore the trip would have been very difficult to plan and figure out since so much has changed with the new magic bands and fast passes! I had no idea how to do any of this and Sabrina was so helpful and basically planned the whole trip herself. All I had to do was tell her some things we liked and what princesses we wanted to see and she made it all happen!! We are so grateful to have Sabrina and all the hard work she did for us to plan such a magical vacation in Disney with our family!! Thank you so much Sabrina Lepore!!!!!! I will always use moments of magic travel for all my Disney vacations and of course will recommend this company to friends and family!!!! Thanks again for everything!! I am writing this email to simply say Thank You for your part in creating wonderful memories for my family during our recent trip to Disney! Sabrina Lepore was a heaven sent when trying to plan this trip. I had not been to Disney since I was a child and now that I am a mom of 3, was overwhelmed in planning a trip that would be magical for all of us. I simply googled "Disney Planning" and was given a few names, but still was very worried I would be able to find someone that would plan a family trip and get it right. Once I called your company and was forwarded to Sabrina Lepore, I knew she would be the one. We have 3 children (5,7 & 12) so I was concerned with planning a Disney trip that would satisfy all. Sabrina just "got me" when trying to explain what we were looking for in this trip. She truly made the planning stress free and I couldn't be more grateful for that. Every phone call and email was answered immediately and more important to me she was enthusiastic about helping and planning. Sabrina Lepore was simply wonderful! All of our dining experiences were great. You had all of the reservations timed well for us. Unfortunately there were a couple we canceled because Tess became ill, but that was unavoidable. The girls' favorite meal was at Be Our Guest. Luke's favorite was the Galactic Breakfast, as you'd expect. :) It was the adults' favorite too. Thank you for everything we had a wonderful time. I appreciate your help and look foreward to you helping us in the future. Truly was an outstanding trip!! Leslie,Words cannot express how grateful we are for all of the planning you did for us on our first Disney Vacation. We had an absolute blast (understatement!) and thoroughly enjoyed every minute of every day! Also, thank you for the amazing gift you had waiting for us - we brought the goodies home and are still enjoying them! :) Needless to say we are ready to go back, lol! You definitely have a customer for life and we will be using Moments of Magic again in the future!! I grew up in Florida and have been to Disney World more times that I can count. I have gone with my family, with my husband, with school trips, with Church trips....everything. But our last trip there was, BY FAR, the easiest and most enjoyable Disney experience yet. Jennifer took care of so many details that I did not even think about. She not only booked our dining reservations for us, she gave us recommendations on where to eat with the kids, without the kids and even where to take the kids for Disney's drop in childcare. She was able to give me quick descriptions about our lodging choices which made our selection easy (and she was right, our kids LOVED the water slide at the Wilderness Lodge). But my absolute favorite thing that she did for us was make an itinerary for each day. After going over which rides and attractions we wanted to do and which ones we didn't, she gave us a minute by minute timeline for each park. I was curious as to how it would really work and it was amazing. I have never, ever, accomplished so much while in the parks. And I loved that she took into account things like how fast we could get around with little ones, when they would be hungry and even when to schedule our water rides (I've made the mistake of doing them early in the day before so putting them last was fantastic). I have already recommended her to many people and will continue to do so. She made our trip absolutely fantastic! I'm so glad we went the resort route and used a planner! Can't believe it's already over. Surprisingly, the boys loved Animal Kingdom the most and by Friday all the nerves over the rides were gone (from Justis), and they rode The Everest Expedition three times! Thank you so much for everything! I will whole heartily recommend you to anyone I know going to Disney. Would never think to go without your help ever again! ​I have never worked with an agent to plan a vacation before and now I don't think I will ever not use one. I had the grand idea of spending my daughters 7th birthday in Walt Disney World, but had no idea how to even approach the planning. A friend had put me in contact with Cindy Moeller at Moments of Magic Travel. Best recommendation ever! Cindy made herself available planning every moment of our vacation. She booked our flights, resort, meal plans, complete with awesome character meals, fitting for my soon to be 7 year old princess, and theme park passes, complete with fast passes. I was thrilled to receive a personalized itinerary for every day we were in Disney; this was great for us to see as many attractions as possible. Cindy was on hand throughout our vacation to change dinner reservations and even extend our stay by booking additional flights and resort stays. I am eager to start booking my next Disney vacation with Cindy knowing that she will set out to create another AMAZING experience for my family!!! Nicole Moskovitz, our Moments of Magic Travel agent, arranged the most awesome trip we could have ever imagined. She coordinated our resort stay, itineraries, fast passes, dining reservations, and suggested options throughout our stay. Each day was filled with fun and excitement. We were able to explore all four parks – Magic Kingdom, Animal Kingdom, Hollywood Studios, and Epcot. Each park was different in its own way and having an itinerary and fast-pass reservations for the rides made it that much more enjoyable and exciting! I believe the longest we had to wait in line was only 15 minutes! Nicole was able to get us the free dining package when it became available and let me tell you, this was an amazing deal. We really appreciated all of Nicole’s help and expertise. We are already planning next year’s trip through her! Jennifer thank you, thank you, thank you for all your help with our Disney trip! We are so excited & know we are going to have such a memorable time thanks to all of your advice. You're the best! By the way, I shared your name with a couple of my friends who are planning Disney trips....told them they should definitely contact you for your expertise :) Thanks again!! We had a wonderful experience and feel like you had wonderful suggestions!! We did buy an umbrella stroller like you suggested before we went and I honestly don't know what we would have done if we didn't have that! We loved the rides you picked and followed the schedule pretty closely most of the time. For us, we decided not to do any formal dining for breakfast because we found the parks the least crowded first thing and wanted to go ahead and jump in! We loved the parade at Mickeys Christmas party....WOW!! Thank you for all your hard work. Jennifer, Your the BEST! Our 1st day in Disney was more than I expected. Thanks to you! While awaiting at the airport, our Air Line made the announcement that our flight had been cancelled. When you were informed of this, you worked diligently and had us on another Air Line within two hours. You also rebooked our dinner reservation and all of our fast passes for that day. We kept to the original itinerary without losing anything. The MAGIC just continued throughout our week. Our room and our all dinner reservations were over the TOP! I wouldn't have changed anything, except for a longer stay. I'm a 100% Disney fan now! I LOVE Disney and will go back every year. But even more so is because of your customer service and dedication that made everything MAGICALLY happen and come true!!! Thank you Cindy Moeller for planning our quick 50th birthday get away at Disney's Caribbean Beach resort. It was so nice to not have to worry about anything. You did it all for me. For now on I will call you to book all my dream vacations. And thanks for the gift. Loved it!! We were so lucky to have Jennifer with Moments of Magic help plan our Disney trip. Although I had been as I child, it was a first time trip for my husband and children and I would have never been able to navigate the parks, fast passes, dining reservations, etc without her help. All of her advice and recommendations for our family were spot-on and made our visit very stress-free. Seeing our children's faces as they met some of their favorite characters is something my husband and I will not forget. It was truly magical for them. I would recommend Jennifer/Moments of Magic Travel in a heartbeat to my friends and family when they need to "make all their dreams come true!" K.S. Nicole has been the most amazing travel agent!. My husband and I had been hoping to take our two children to Disney World for the first time; however, planning the whole excursion was incredibly overwhelming! There was just too much to do and plan! From the beginning, Nicole was extremely helpful and walked me though all of the steps, but actually took care of every single last detail herself. She was able to work her "magic" and secure reservations and fast passes for the most sought after attractions and dining locations. We didn't even plan six months out, as everyone had cautioned. Somehow, Nicole seemed to seamlessly make it all fall into place and we could not have been any more delighted with all of her hard work. She was completely at the helm throughout our entire planning process, as well as the actual vacation. She was always a phone call or email away, and she responded quickly and professionally every single time we had a problem or question. I can honestly say that I will never travel to Disney without having Nicole as my planner. It took the headache of the whole process away, and we were able to just sit back, relax, and enjoy the magic! I would highly recommend Nicole and her services to anybody who wants an amazing vacation to Disney without any of the stress of planning and preparing. Her services are free for her clients (Yes... FREE!). Thank you Susan Fowler, we had a wonderful Disney trip!!! 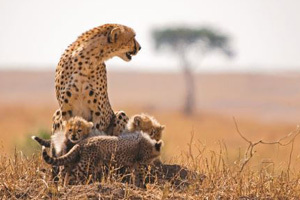 Susan had everything planned for us, from fast passes to dinner reservations. Our family was able to relax and enjoy, Susan took care of all the details. Jen, the vacation you just planned for us went off without a hitch. You planned every minute of our stay and there were a lot of moving parts so it would have been easy for something to go wrong. Nothing did. It was a completely stress free vacation! What an excellent vacation we had based on all of your recommendations! We followed the itineraries as close as possible and they were right on! The restaurants you had suggested were delicious and not ones we would have known about. As we were unsure of getting the dining plan in the beginning, you helped us decide it was our best bet and chose restaurants that would give us the biggest bang for our buck! We got to see and do all that the boys wanted to do. I would like to think that you also had a part in giving us the great weather we had! Our vacation was truly magicial and enjoyed by every single one of us! Thanks so much! Your hard work is really appreciated! I will definitely pass you on to any person that I know who is looking to go to Disney and know that they will get the experience of a lifetime from you, a caring, dedicated, on top of it all, Disney enthusiast! I just wanted to THANK YOU for all of your help in planning our Disney vacation. It was fantastic. The work you put into developing an itinerary and making all of our reservations and fast pass selections was a huge help to say the least. I will definitely refer you to anyone I know looking to book a Disney vacation! Our family cannot thank you enough for your help in planning our Disney World trip. You truly went above and beyond to make sure our vacation was perfect. Your professionalism, kindness, and attention to detail were very appreciated, especially in a time when customer service is almost non-existent. We will definitely be using your service when we plan our next Disney vacation. I have given your name and contact information to a few of my friends who are planning trips in 2015. I highly recommended you to them. Thank you for helping to make our vacation magical and memorable. It is truly a trip we will never forget! A year ago, I was considering taking a trip with my family to Disney World. However, I knew I would be facing a tight budget and wondered if I could even possibly do it. In addition to this, I was a bit nervous about planning a vacation to Disney, the vacation destination every child dreams of. I was afraid I'd miss important details, lose the luggage, go to the wrong park, not know the "secrets" to doing it right, or forgetting something the kids would have loved. Nicole arranged my whole trip, from leaving the airport in Baltimore until we took off on our flight back home. She had an itinerary prepared for us that kept us on track with all of our meal reservations, fast passes, and the other activities we didn't want to forget about. She even helped me handle a luggage mishap (worst nightmare on vacation) that happened when we had just arrived at Disney. I am glad that I planned a trip to Disney that included staying at a Disney resort instead of staying off-site and driving everywhere with a car rental. I am very pleased with the services that Nicole provided me, which were at no cost to me at all. I would happily use Moments of Magic Travel and Nicole again, and recommend her services to anyone that is planning a trip to Disney World. 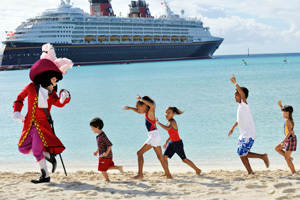 Sabrina Lepore was so helpful with booking and planning our recent New Year's Eve Disney Cruise! This was our fourth Disney cruise but the first time using a TA. Sabrina did a wonderful job with all of our online planning, as well as grabbing us tickets to the character breakfast and meet & greets so we wouldn't have to wait in the long line when getting on the ship. She made sure everything was taken care of for us from start to finish. We will definitely use Sabrina again for our future cruises and have already started recommending her and Moments of Magic Travel to our family and friends. Thank you again, Sabrina! My husband and I just returned from a magical trip to Disney World. Thank you Sabrina Lepore for all you did to make this fabulous trip come true! Throughout the process you worked with me hand-in-hand to ensure that every detail was reviewed and perfect and that we could arrive and just relax and enjoy our time in Disney. We look forward to our next excursion in February knowing that you and Moments of Magic Travel will have attended to each detail and that our stay will once again be magical and memorable! We are currently on the bus on our way to Epcot for day 2! I just wanted to write you and thank you again! You completely hooked us up for the trip! Our fastpass schedule is working perfectly and the rides that we got are awesome! Also, we reference your itinerary at least once an hour haha. As a Disney Passholder, I have always made my own arrangements when staying at the the Magic Kingdom for years. Dealing with a sweet and professional like Cindy, made our preperation easy and a no brainer. As a past travel agent myself, I can truly say her detail, professionalism, pleasant personality, and knowledge made our vacation that more special as even with my background, didnt have the knowledge of WDW and their properties as she had. Thank you Cindy, we'll be back. Sabrina was absolutely the best to work with for planning our first family Disney vacation this past year. Planning a Disney vacation can feel very overwhelming at times with reservations and fastpassing, but Sabrina went above and beyond to make sure I had all the things booked that would best suit my family. The price was super affordable and she was ALWAYS available for even the smallest question during the months beforehand. I would highly recommend her. I can't wait to start planning our next time for 2016. Jennifer thank you so much, we will never forget the look on our youngest child's face when she saw the Disney castle for the first time. It was like a dream had become reality. To experience this as a family made it all the more special. Disney experience and knowledge made my travel plans a breeze. We loved your dining suggestions and had a great time at The Whispering Canyon Cafe. Thanks again for making our family's Christmas/Birthday Celebration Vacation more memorable at Walt Disney World. We can't thank you enough for our wonderfully planned trip. We had planned a trip for June 2016 but because of a military extension, were forced to reschedule our trip for July 2016. Rachel was fantastic. While I was stressing about the change, she stayed calm and took charge. She quickly changed our travel dates and was able to reschedule ALL of our dining reservations, including the character meals that can fill quickly. I am a planner and like to know everything and anything about where we are going and what to expect. Rachel remained patient and answered EVERY ONE of my questions. If she didn't know an answer right away, she found it within hours of me asking!! She never got frustrated with the amount of questions asked and would spend an hour or more on the phone answering them for me. Upon arriving to Disney, we sailed through check in and could enjoy our vacation from the moment we stepped out of our vehicle. It was wonderful knowing what to expect the entire time. All of her recommendations were perfect for our family. Having a plan that is catered to our family personally was great. We never felt that our plan was meant for someone else or just a general plan for anyone. She was available during our vacation as well in case any issues popped up. (None did). In the words of my children, "Miss Rachel is the coolest Miss Rachel ever!!!" Thank you so much for a well planned, stress free vacation! Nicole was absolutely amazing in planning our trip to Disney this summer! She listened to what we wanted & made it ALL happen!! Even when we had slight issues during our trip, she was just a phone call away & fixed it immediately! She did an excellent job & I highly recommend her services! Danielle was phenomenal. We were not planning on using a travel agent but after speaking with her and all that was offered, we jumped on the opportunity. Who wouldn't want to go on vacation and not have to do anything but pay and show up. She did all the planning, dining arrangements and fast passes for us. While we didn't follow the schedule the entire time, it was a huge help in regard to our time spent there. You won't be disappointed at her dedication to making your trip a special one. We experienced a wonderful family vacation to Walt Disney World thanks to our moments of magic travel agent Amanda Walker! She spent a lot of time with us planning our trip, was available with a quick response when we had a question and always cheerful no matter what time of day we needed her! The kids loved every minute of the trip, minus the 90 degree weather:) the hotel accomodations were wonderful! We will definitely use moments of magic again when we head back to Disney world! A big thank you to Amanda! Many Thanks to our TA, Rachel Grimes, with Moments of Magic Travel, for making this quick Christmas trip to Disney World truly magical! Her help obtaining fast passes in advance was such a blessing as well as her willingness to be "on call" for questions while we were there. Can't wait to see all your plans for our DIsney trip and cruise in April! I will forever be grateful to you for all the work and help you provided for our recent trip to Disney. You went above and beyond to help make this a truly memorable trip for my boys: the itinerary you provided was perfect and invaluable (waiting times, which attraction to go to next, meal suggestions..everything was planned to help maximize and utilize our time), getting up at 6:00 in the morning just to book my fast passes, insider tips, and being there to contact you while on our trip, etc. I will never forget the look on my boys faces as they experienced Disney for the first time. Last night my youngest, who I thought was in bed asleep, came to me and said, "Mommy, you see that tear in my eye, do you know why it is there? Because I want to go back to Disney World." You truly made this magical for all of us! Thank you Thank you Thank you! My family was planning our 1st trip to Disney for April 2016. There was 9 of us. Including my 85 yr old grandmother. My 10 yr old son and 4 yr old daughter who had never been. We came across Danielle on Facebook. And right away she was AMAZING!!! She is very knowledgeable and was able to answer any question we had. Danielle did all the work for us. And everything was done in a timely manner. Danielle explained everything to us in full detail. Even making sure my grandmother had special accommodations. She was wonderful!!! She ask everyone of us our likes and dislikes. Down to the characters we like, the food and rides. To make sure we got the most out of our trip. When we arrived our itinary was waiting for us. Everything was planned day by day minute by minute. What a wonderful trip we had. And a great experience it was having Danielle there to call on. Our next Disney trip we will defiantly be calling on Danielle again and her expertise in Disney. I would and already have referred her to several people. We all were beyond happy with her!!! Jennifer Kellum was so much help and a pleasure to work with every stage in our planning of our trip to Disney World. We went in August 2014 and had the best time. She took all the stress of planning upon herself and planned it just the way we wanted it. Jennifer went to great lengths to attend to everything... down to the smallest of details. I celebrated my birthday while at Disney in which she remembered and sent me a birthday wish. It was great getting it with the other wishes that came in that day. We will go back and we will use Jennifer again. To sum it all up, our Disney Cruise was fantastic!! Loved it all, but my favorite was our day spent on Castaway Cay in our cabana and private little beach-haven - definitely worth renting the cabana, and definitley worth saving pennies for a concierge room. We can't wait to go again. If anyone wants to book, I know a very special lady who will work her booty off to build you a dream vacation! Deirdre Wood! I hope this finds you doing well and having a great New Year!! We want to thank you for providing us with a magical vacation! We spoke to many other guests that were lost and wandering around frustrated. We had an itinerary that lead the way for us and provided us flexibility and structure so that we could be on vacation and enjoy our time! We appreciate all of the time and effort you put into to making our vacation special for all of the members in our families! You rock at this magical moments gig!!! Our Disneyland trip this year was a last minute end of the summer family vacation. You made planning super easy for us during a busy time. We had a great hotel, wonderful trip and really appreciated your very detailed daily itinerary. We were also super excited to be able to go during the 60th Anniversary Diamond celebration. Thanks for everything! We will definitely be using Moments of Magic Travel in the future! It was a dream of mine to take my girls to Disney World. We had such a great time. Thank you to Felicia Broome for planning our vacation, our itinerary, and answering all our questions. You made our trip easy and special. client but a family she really wanted to do the best for. Explore the beauty and wonder of Hawaii with the legendary service of a Disney® vacation! Click Here to request more information!